Past-time car racer and owner, Sarah, bought Turn 3 at the ripe age of 21 with one phrase in mind – “Tahoe’s original NASCAR bar.” Today, this local’s hot-spot is decked with NASCAR paraphernalia, neon-signs, pool tables, 16 TVs, a popcorn machine and a colorful bar amidst piles of cracked peanut shells. Sit down to your favorite game or unwind after work, with a drink in hand and unlimited baskets of free popcorn or peanuts. Monday – Friday 4-7 p.m.
Bloody NASCAR Sundays all day until 6 p.m. 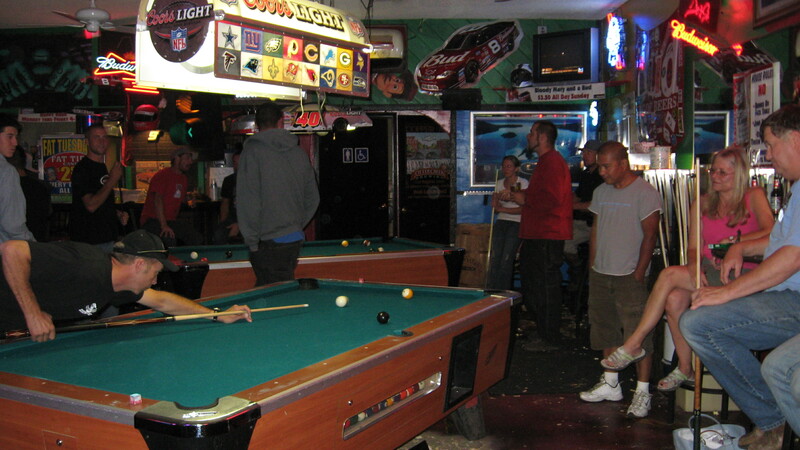 Pool tournaments starting at 9 p.m.